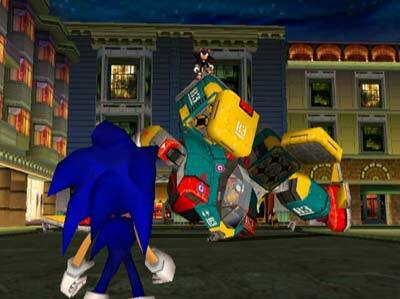 Announced shortly after the UK release of Sonic Adventure, Sonic Adventure 2 (SA2) was first properly premiered at the Los Angeles E3 in May 2000 where all those who attended were treated to a short scene of Sonic being chased down the hills of San Francisco by a huge 18 wheeler truck. More than 12 months has passed since then, so did Sonic live up to his expectations? You’ll just have to read on my friends. 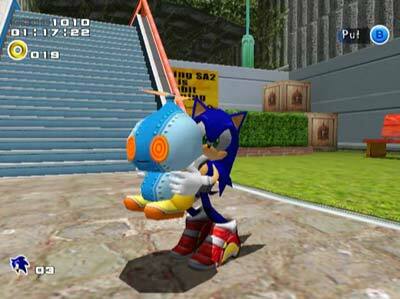 Before starting work on SA2, Sonic Team the creators of most Sonic games with the exception of Sonic 3D and Sonic R, took in criticism of the blue blur’s first adventure and tried to create a sequel that built upon the strengths of the first game, but got rid of the parts that people didn’t like… and from first starting SA2, it is fairly obvious Sonic Team were given the clear picture people didn’t like the RPG style sections introduced to try and add a proper story line and longevity to the games rather than the level based outings he had on all his previous titles. So now, SA2 is very much action based from the very moment you press the start button. The presentation on SA2 is immaculate, although the jaw dropping FMV the first game had is absent which for me at least was a disappointment. The menu’s are slick and very straight forward, and unlike the first one, the loading times are minimal in fact, most of the time it’d be easy to think it was a cartridge based game. The first major noticeable difference between SA 1 and 2 is that now you no longer pick a character to play as, you instead select the side you wish to play on, either Hero or Dark, then it’s straight into the action, be it to save the world, or destroy it. The graphics on SA2 are (and I feel like I say this for every DC game I review) utterly astounding, and WAY above what you’d ever have expected off the white box back in October 1999 when it launched (December 1998 in Jap and September 1999 in US). The levels and characters are perfectly rendered in both the cut scenes and in game, the texture clarity is astounding and up there with high end PCs although the resolution (640x480 which the DC is limited to does hinder the game from looking actually better than current PC titles)… but to top it all off, the entire thing moves at a rock solid 60fps. As you can tell from this, graphically, there isn’t really much more Sonic Team could have done with this title as once again, it ups the odds against it’s younger rival, the PS2, showing that there is more power in the white box than meets the eye. The sound on SA2, although good, could have been better. On some levels, particularly the first one on Hero, has amazing music which, after a couple of plays through, I guarantee you’ll be singing along to, although if you had the demo don’t think you’ve heard it yet as they’ve changed the music since then and it’s now better than ever. Other levels however are aurally lacklustre, and the standard of the audio really does vary in extremes from level to level. Sound effects are relatively unchanged from SA 1, which is fine as there was nothing wrong with them in the first place. 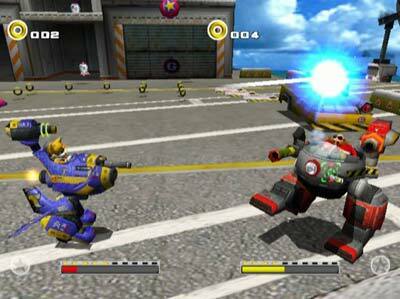 SA2 is split into 3 different main game styles throughout the game be it on Hero or Dark, with Sonic and Shadow being the two speedsters of the game, Tails and Dr Robotnik running around like crazed lunatics in giant mechs and Knuckles and Rouge being the treasure hunters (like the Knuckles levels from SA1). 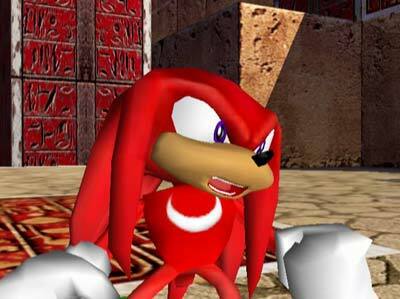 Sonic and Shadow’s levels in particular are initially overwhelming with the game speed being upped yet again from the impressive speed of the original. These are definitely the best levels of the game, especially in 2 player mode which graphically is identical, believe it or not to the single player mode only with the frame rate being halved to a respectable 30fps to accommodate. The Tails and Dr Robotnik levels are shoot ‘em up based, where you run around the levels taking out all the enemies charging up your laser (similar to how you did with E-102’s gun on the original) and taking several out in one go to get bonus points out of the combo’s from multiple kills. 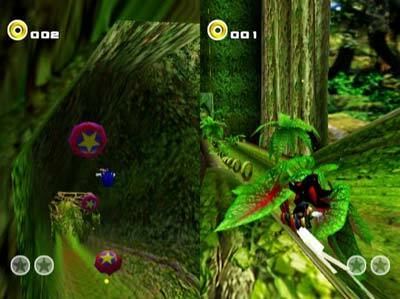 Then the ‘yawnsville’ of SA2 is the “treasure hunting” aspect. Early attempts taking up a good half an hour, the idea is to search around the area usually for 3 chunks of the master emerald, however, not totally unaided. You have a little beeper on the bottom telling you when you’re near the next chunk you need, as well as television screens with small clues on them such as “Arrow pointing right” in which case you’d look near where the sensor was bleeping to tell you the emerald was near, and then look for an arrow shape somewhere pointing to the right. All this is linked up into the two separate chapters by brief cut scenes progressing the story and giving reasons to be doing each level. These cut scenes are on the whole visually impressive although not always at 60fps. I especially love the opening scene for Hero with Sonic sky surfing down to the city on a board jumping off a helicopter and then the FMV which they HAVE included to help tell the story when what needed to be shown was too complex for the game engine to handle. So far so good? Unfortunately, as much as I’d love to scream from the rooftops that Sonic Adventure 2 is the perfect game, it is far from it. The graphics are top notch, the sound is on the whole good, the game design is exciting and generally well executed, however, there are certain flaws which make the game at it’s least, annoying, and at worst, so frustrating you want to chuck your control pad into the Television screen. 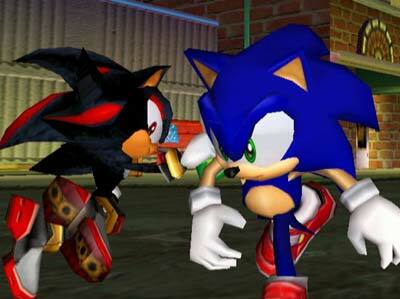 My first main problem is with the Sonic/Shadow levels. Yeah, they’re fun to play, yeah they look great, and don’t get me wrong, they ARE great, it’s just…at times you feel like you’re just watching a movie rather than playing a game as the movement is more akin of 2D platformers of yesteryear than a contemporary 3D platformer. 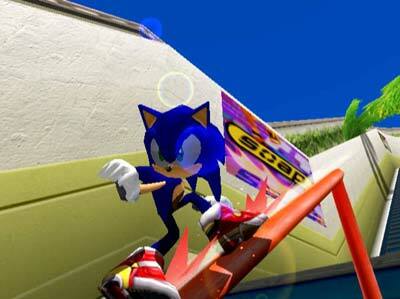 It’s mostly down to the lack of control as those who have played the first Sonic Adventure will soon realise. It’s like when you were getting chased by the killer whale on the first level, you don’t have control over Sonic for a large section, the game controls him… all you have to do is keep the analogue stick upward and there are no problems. This lack of control just takes away the playability of the sonic levels. There are other problems with the game play mechanics, however I won’t go too deep into them other than to say that the treasure hunting levels should have been scrapped as they deviate from the main plot, and that they need a new voice actor for Tails… killing off Amy wouldn’t go amiss neither, but that’s just a personal preference… only leaving one main quibble with the game, and that is the atrocious camera. You can cope with is for most levels, but, particularly when fighting the bosses, the camera not allowing you to truly judge your position can be troublesome and cause many an unnecessary death. It wouldn’t be so bad, but the camera in the first Sonic game was bad, which leaves me wondering how Sonic Team can let such a problem plague the sequel and be even worse than it’s predecessor!? It’s a huge shame really, as these small problems kill what is otherwise a fantastic game, and had Sonic Team taken the time to iron out these niggles (although rushing final testing was necessary to meet the games deadline as it was released to tie in with Sonics 10th anniversary) this game could have taken a shot at game of 2001. 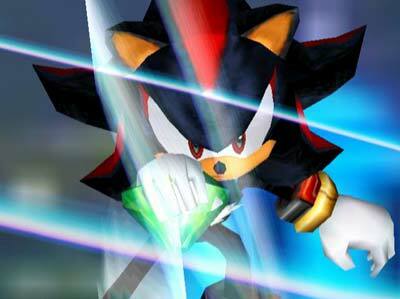 Overall, Sonic Adventure 2 is a darn fine game, though not AAA status which I would give the first SA game. It doesn’t disappoint at all, and the new focus on action certainly means the game has changed enough over the last year to warrant it true sequel status, unlike a certain Crazy Taxi 2, which was released a few weeks after. Even though it has it’s problems, which at times are bad, it’s still a game all serious DC owner should want to own especially as it will be the last Sonic title to appear on Sega hardware for the foreseeable future, if ever. Simply put, the blue blur is back, as good as ever, and ready to take us through another 10 years of memorable gaming. 10 High Res Textures, well rendered characters, and a super silky frame rate all fuse together to make a fantastic looking game. Sound 8 Not as solid as the originals, but Sonic Team still have that magic touch for memorable tunes. 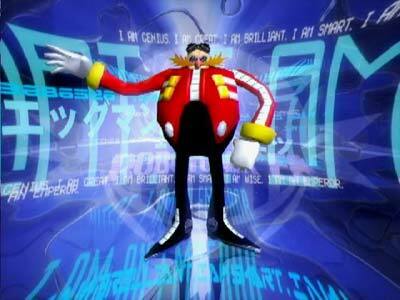 Although the English voice acting is disastrous, there is the option to have the Japanese voices. Gameplay 8 At times it’s the best thing ever, sadly these joyous moments are seriously let down by a terrible camera and a lack of control over your character. Lifespan 9 There is plenty to bring you back. Dark and Hero story modes, 2 player games, chao racing and collecting. Its not going to loose its lifespan any time soon. "Not the best game going, but a respectable outing for Sonic in his last ever Sega console appearance, which ever console he goes to next has just gained possibly one of the greatest assets a games console could ever wish to have."